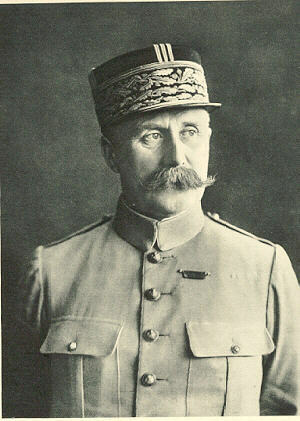 The hopes of the Allies, during the early spring of 1915, were centered in the Franco-British offensive which Gen. Foch was preparing to launch in May. 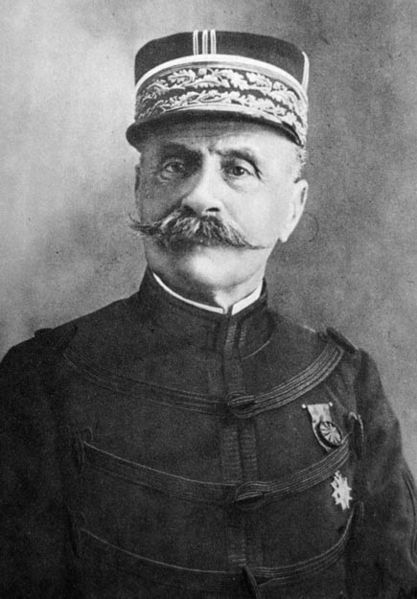 In deciding upon this offensive, General Foch had kept two objects in view. First, he hoped to erase the Lens salient by ejecting the enemy from their powerful trench positions on the heights to the west of Lens and driving the Germans across the Artois plain toward Douai. The immediate effect of this operation would be to relieve Ypres from the German pressure. 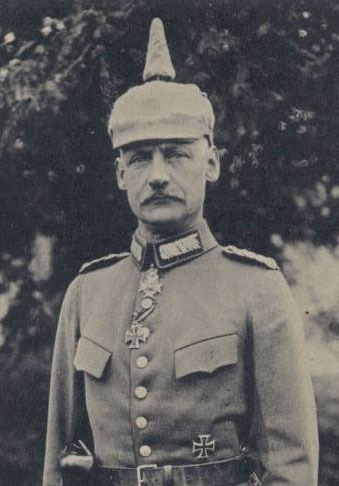 Second, by pounding the Germans hard on the Western front, he expected to compel them to withdraw several corps from the Eastern front, thus succoring the Russians at a moment when they were facing disaster. The Battle of Artois, as Foch's spring offensive came to be known, consisted of simultaneous attacks against the German line, by the French and British, launched at separate points. The French Army had for its objectives the strongly fortified heights known as Vimy Ridge and Notre Dame de Lorette. Supporting this operation, the British Army was to assault the German position on Aubers Ridge, further north. The combined strength of the Franco-British forces was 430,000, while the German armies opposed to them, carried 600,000 rifles. The Germans held the advantage in their strongly fortified positions on the heights. 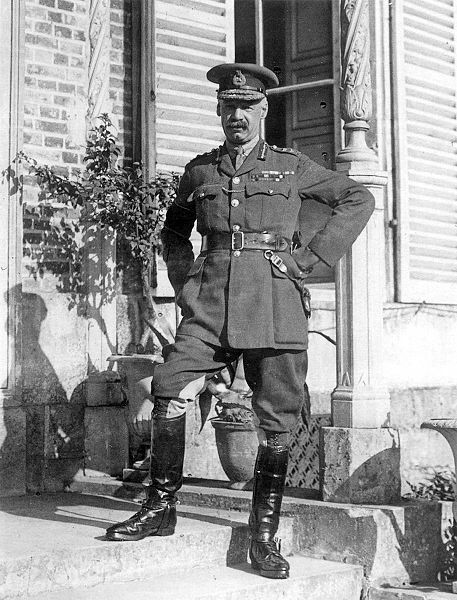 General Foch thought to offset this by a concentration of artillery on a scale never before attempted on the Western front. The French alone had 1,100 cannon directed on the German positions. With an army of 280,000 seasoned troops, supported by 1,100 pieces of heavy artillery, General Foch, on May 9, 1915, struck hard at the German line on a twelve-mile front to the south of La Bassee. The main assault was directed at the German stronghold on the Ridge of Notre Dame de Lorette, overlooking the plains about Lens. The artillery preparation excelled in violence anything hitherto heard in France. In the space of a few hours, 300,000 shells fell like an avalanche upon the German fortifications, burying many of the defenders. Parapets and entanglements alike were blown to fragments. When the artillery fire subsided, the French poilus dashed forward in three columns to storm the heights. The German first-line trenches were quickly seized. In a few hours the northernmost French Corps had conquered all the slopes of Notre Dame to the west of Lens. The French advance on the southwest was equally successful. In rapid succession, La Targette, Neuville-St. Vaast, and Ablain-St. Xazairc were captured. In the center, General Petain's famous 33rd Corps swept like a flood over what had been known as the White Works, rapidly advancing two miles beyond the Arras-Bethune Road. In an hour they had overrun all three German trenches and pierced the German lines. Three thousand prisoners and 60 guns were captured in that initial rush forward. Had the French line everywhere been able to conform to the pace set in the center, Lens might then have fallen. 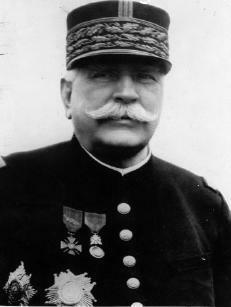 Unfortunately, there were no French troops in support of Petain's corps and so his golden opportunity was lost. Before night, the breach in the German line had been closed by German reserves, brought up in motor cars from Lens and Douai and the French were unable again to pierce the enemy line. Two years were destined to elapse before the Allies again arrived so near to Lens. Though the French were unable again to break through the German line, they did succeed in capturing many important enemy positions. On the night of May 12, 1915, the decisive assault was executed. Crawling forward on all fours, the French Chasseurs stormed the German parapets in the face of deadly gusts of machine-gun fire, and engaged in a death grapple with their adversaries in the dark interior of the fort. Nothing could resist the fury of the French assault. 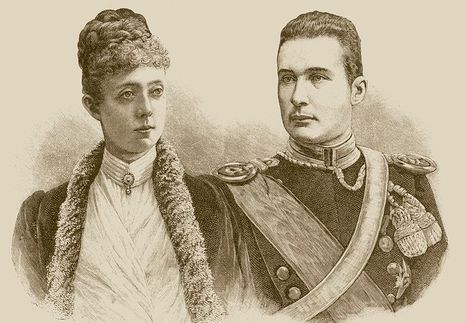 They soon were masters of the German stronghold. 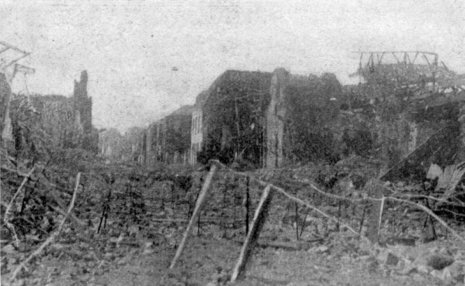 The village of Carency, after being riddled with shells, surrendered on May 12, 1915, with 200 prisoners. Ablain, which was in flames, and the fort of Notre Dame de Lorette, surrendered the same clay. The retreating Germans had taken refuge behind a series of strong redoubts, in order to attack the French with enfilading fire. One by one these redoubts were taken—the White Road on May 21, 1915, the cemetery at Ablain on May 29, 1915, the Souchez sugar factory on May 31, 1915, and Neuville-St. Vaast on June 8, 1915. The hardest fighting took place in the Labyrinth, an elaborate system of trenches and redoubts built underground on an angle between two roads near Vimy Ridge. Diving into these underground passages, 50 feet below the surface, the French grappled with the Huns, using bayonets and knives, picks, hands, and even their teeth. At one end of the Labyrinth, known as the Eulenberg Passage, the Germans made their last desperate stand. Here the entire 161st German Regiment of 4,000 men were slain. 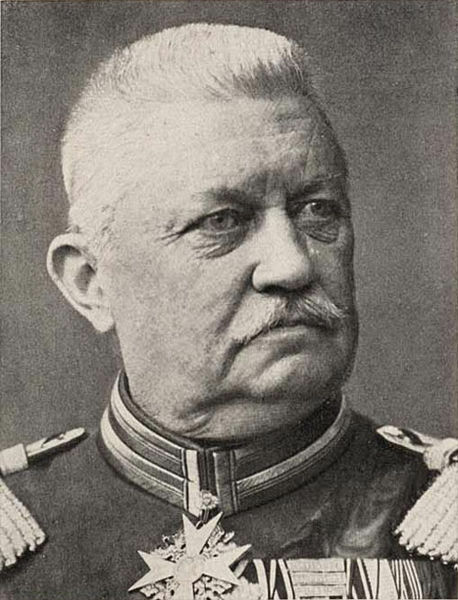 The Bavarian Regiment also lost heavily, the French taking 1,000 prisoners. The total losses of the French in this underground battle were 2,000. The French had now smashed the German salient and taken all the outlying defenses of Lens save one. But beyond this they could not advance. They had, however, won a brilliant victory. The Germans had lost 60,000 in the Battle of Artois, the French losses totaling 40,000. On May 9, 1915, the same day the French attacked Notre Dame Ridge, the British assaulted the Aubers Ridge, but for lack of ammunition the attack failed. A second assault was delivered on May 16, 1915, at Festubert. Here the German trenches were protected by special wire cables, nearly two inches in diameter, with parapets in front of these entanglements. The British, lacking high explosives, could not sweep these obstructions aside with their artillery fire. After showering the German trenches with shrapnel, the infantry charged against the barrier. Unable to cut the thick wire, the Britishers laid their overcoats upon the entanglements and crawled over the top in the face of a murderous machine-gun fire. Though thousands perished at this barrier, the British troops did not waver. For 15 hours the Britishers assaulted this position and finally succeeded in driving the Germans out of their trenches along a part of the front, pursuing them to the slope of a ridge that commanded the road to Lille. Here the Germans had assembled such an array of machine guns, all accurately trained on their second line of trenches, that to advance further meant annihilation. In the triangle west of La Bassee, the Highlanders made a gallant charge, taking two lines of trenches. The Germans, from their third line trenches, which were protected with armor plate and cement, raked the Highlanders with machine-gun fire, inflicting such terrible losses that the Highlanders had to retreat. By nightfall, the British Army had been forced to withdraw at all points except in the center, where the Kensington Battalion captured three lines of German trenches in successive bayonet charges, and advanced up the ridge. Unfortunately, the supporting columns on either side of them had failed to break through the barbed wire barriers and the Kensingtons were left alone, to face the close fire of the Germans directed from three sides all day long. In vain they appealed for reinforcements. Finally, when trench mortars were brought against them, they were forced to retreat over open ground which offered no protection from the deadly machine-gun fire that pursued them. Only a remnant of this brave band returned to the British trenches. The Sussex and Northampton troops were almost exterminated in trying to reach the German trenches. Then the Scottish Cameronians and the Black Watch took their places and actually penetrated the German positions in a desperate bayonet charge, but again British reinforcements failed them, and again the British lack of high explosives caused a slaughter, for the heroic Scots were overwhelmed by the German torrent of shell fire. More than 8,000 Britishers perished that day at Festubert. The British attack was continued on May 17, 1915, with some success. At Festubert, three lines of German trenches along a front of 1,200 yards, were carried for a total penetration of three-quarters of a mile behind the German position. 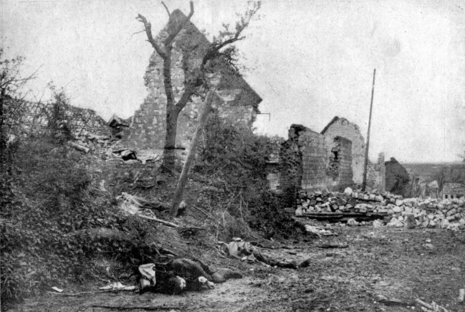 An attack from Richebourg was not so successful, as the Germans were prepared for it. The result of these operations was to drive two wedges into the German lines, one in front of Richebourg, the other before Festubert, the intervening space of 1,000 yards being left in German possession. The British attack gradually worked itself out. 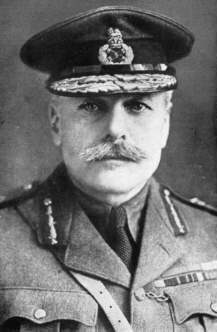 General Sir John French, Commander-in-Chief of the British forces, had repeatedly urged upon Lord Kitchener the importance of supplying high explosives to the Army, but without result. 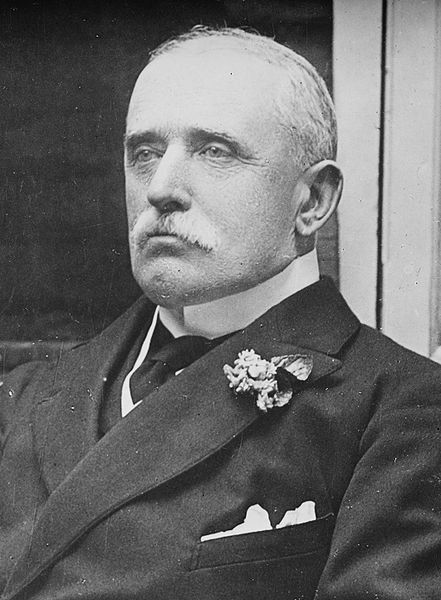 After the Festubert disaster he laid the matter before Lord Northcliff, who promptly aired the "shell scandal" in the columns of his English newspaper, the London Times. The British nation then tardily awoke to a realization of its delinquency. 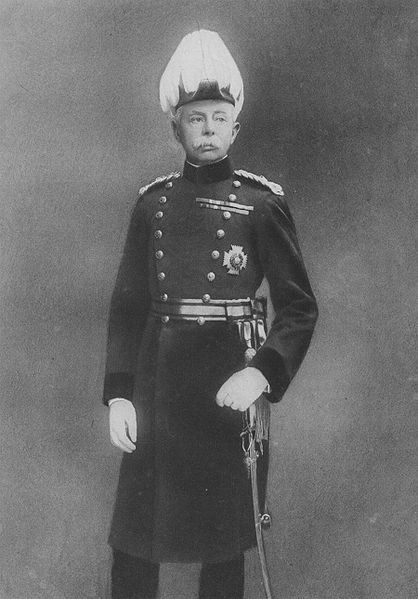 Lord Kitchener was dismissed from the office of Minister of Munitions, and Lloyd George named as his successor. Under the latter's administration, great ammunition plants sprang up like magic, and plentiful supplies soon began to flow toward the Army in France. The campaign in Artois on the whole proved unfruitful in results. For months the French and English hammered away at the enemy line. Two attempts to pierce the St. Mihiel salient were repulsed. A slight advance over the Vosges Mountains into the Valley of Fecht was made, west of Colmar, but the entire campaign proved of small military advantage to the Allies. The Germans still held the trenches, and 100,000 had fallen in the attempt to dispossess them.